I left my heart at SXSW. — Subsplash.com | Engage your audience like never before. I left my heart at SXSW. As much as we enjoy the luxuries of living in Seattle such as: pouring rain, power outages, bouts of snow, and harsh winds here at Subsplash, we have to admit: we’d rather be at SXSW. This awesome festival located in Austin, TX, is not only blessed with beautiful weather, but it is the place to be for anyone connected to mobile technology. This incredible intersection of creativity and business is changing the way consumers react. South by Southwest (named as a play on words off Alfred Hitchcock’s film: North by Northwest) got its start in 1987 as a music festival. It’s wild success eventually gave way to the all encompassing film, music, and interactive platform that it is today. Several performing artists got their start at SXSW including: John Mayer, James Blunt, and of course - the Hanson brothers! Over *32,000 people attend SXSW each year making it an incredible outlet to launch a product or to simply gain exposure. Although SXSW originated with a huge music influence, it is the Interactive conference that has stolen the spotlight with an attendant increase of *40% since just last year. Some of the brightest minds in technology are showcased at SXSW and among them it is a unanimous notion that the one aspect that is sure to change businesses in the coming years is mobile. The five day conference is the best place to preview the latest and greatest in the world of technology - it’s where the ‘buzz’ starts. Mobile applications got a lot of attention this year, with a majority of the key note speakers involved in apps in some capacity. We wanted to highlight some of the predominantly talked about apps starting with: Highlight (no pun intended). Highlight is a check-in inspired location-aware app that notifies you of the people in your general vicinity with similar interests. Not intended for those weary of Big Brother - this app can help you forge a conversation with an acquaintance or complete stranger! Its overwhelming presence in Austin this week was a huge networking tool. A few more social discovery apps that received a good amount of attention were Glancee, Sonar, and Kismet. Of course, I can't talk about apps without regretfully mentioning that there is a new version of Angry Birds being launched: Angry Birds Space (because why wouldn't you combine birds, pigs and aliens in one delightful game?). The presence of mobile can no longer be brushed aside - in fact, I wouldn't be surprised if there were more smartphones than people at SXSW this year. The original goal of SXSW was to “create an event that would act as a tool for creative people and the companies they work with to develop their careers, to bring together people from a wide area to meet and share ideas”. Hey, we’re creative! We have ideas to share! It’s safe to say that Subsplash will (hopefully!) 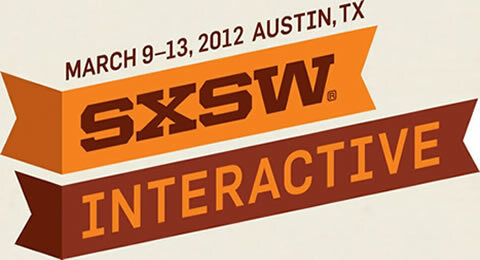 be attending SXSW for years to come! See ya next year Austin, and stay weird!